When you decide on the big move, art pieces can be some of the hardest to handle and doing so safely is always a concern. We offer great tips if you need to move art safely. They’re delicate and need special care so you might be wondering what is the best way to transport your pieces. That’s where moving companies come in. 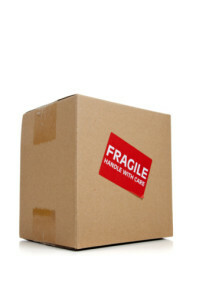 We have expertise in moving the most breakable items and can share some tips if you’re completing a move on your own. Related: Should You Crate Your Valuables During Your Move? Consider crating your art. While you can wrap your pieces to keep them safe, building a crate around it will ensure that no other items being moved can come into contact with your precious cargo. Usually insurance companies will require that more expensive pieces ($1,000 +) be properly crated to be covered, even if you’re moving them yourself. If you’re moving something with glass, wrap it as much as possible. The back of a moving truck can be a rough place. As you go over speed bumps and through turns, your belongings will shift. Use bubble wrap and furniture moving pads to thoroughly secure your glass items such as table tops and mirrors. If you can, move your delicate items separately. Wait until all of the big items have been taken and then load up the breakables. This will keep them from getting damaged by shifting furniture. If you can’t move them separately, then make sure to pack the load as tight as possible. Also, if you have high-priced items, consider having them insured before moving. Most moving companies carry their own insurances (at least they should), but it’s good to have your own coverage as well. Check with your insurance broker to make sure that your belongings will be covered while in transit. Keep in mind that cargo insurance will often exclude jewelry or other specialty items, so make sure to talk with your mover about their insurance coverage. It comes down to is safety and experience. That’s why we recommend using a professional company. Here at Metro Movers, each mover we hire is expertly trained to handle your big ticket items and the more delicate ones too, because with all of our moves we put safely first with all your delicate art pieces. Related: Using Newspaper Can Damage Your Items. Our company has the knowledge and expertise to move large items such as pianos, pool tables, grandfather clocks and statues, as well as smaller more fragile items like sculptures and artwork. If you have any questions about how to move your breakable items or would like a moving quote from the top moving company in Phoenix, give us a call at 602-242-1160.